Looking for deals in Antwerp? Hotel Quartier Latin provides accommodations in Antwerp near Rubenshuis and Meir. This is a boutique hotel - seven rooms - located about 10-15 minutes' walking distance from the centre of Antwerp (the cathedral) and about 20 minutes on foot from the central station. It is a new establishment (about a year old), so it has the latest comforts. Located in a residential neighbourhood, the area is generally quiet. The hotel is housed in an old building - so the rooms have high ceilings and the room I had was spacious. The design is impeccable: warm, but not cluttered; designer lighting and furnishings, but not cold. There is a lovely inner courtyard that offers a sanctuary of tranquility, where you can enjoy a coffee or drink from the "Honesty Bar": you help yourself to a snack or beverage, and the hotel trusts you to be hontest and note down what you have taken. The staff are friendly, helpful and knowledeable. They provided good advice for restaurants and directions to the sections of town I wanted to revisit. I checked in and out with a minimum of fuss and a maximum of personal interactions. Mañana Mañana is a guest house with 4 rooms, located in the South district of Antwerp (Het Zuid). The surrounding area offers a variety of shops, museums, and restaurants, as well as bars. The owners are really friendly, the rooms look amazing and the WiFi was great. The breakfast they sell in the little coffeeshop downstairs was very good and the location is convenient. Located in Antwerp in the Antwerpen Province Region, 656 feet from MAS Museum Antwerp, U Antwerp features a terrace and views of the river. Guests can enjoy the on-site bar. Bed was extremely confortable and bed sheets were super soft. The ambience and decoration of the room Was great, smartly design with a great thub!!! This boutique hotel is located in the heart of Antwerp, just 1312 feet from the main shopping street Meir, Groenplaats and the Cathedral. Guests can enjoy the on-site restaurant. The location was superb and the staff so welcoming and friendly. Just couldn't recommend it more highly. Featuring free WiFi, Antwerp Business Suites offers accommodations in Antwerp, 328 feet from Groenplaats Antwerp. The rooms have a flat-screen TV. Some units include a seating area where you can... Super service, the personal attention received, the cordiality of the owner. Rooms and hotel: modern design, very light room. Spotlessly clean and very comfortable room. Central location close to the Groenplaats and the cathedral. Close to the shopping area. It is wonderful place to stay for a business trip or a holyday. The Hotel Indigo Antwerp City Center is located in the heart of the city close to the Central Station, ZOO Antwerp, Flanders Meeting & Convention Center and the main shopping streets. Hotel Indigo Antwerp City Centre really exceeded my expectations. 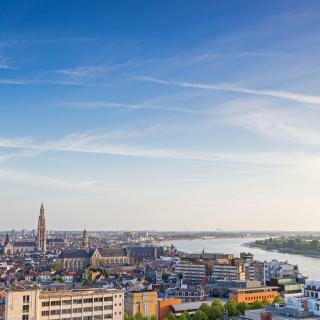 Set in a high-rise building, Ramada Plaza is located in Antwerp’s business district, with easy access to the ring road and the city center. Close to motorway for Tomorrowland. Also meeting Armin Van Buuren made my stay more beer than ever. Located in Edegem in the Antwerpen Province Region, Hotel Drie Eiken features a terrace.. Guests can enjoy the on-site bar. The Antwerp University Hospital is right next to the hotel. Visited because of a family member in the hospital next door. HotelO Kathedral is located in the Antwerp’s historic center, across the street from Cathedral of Our Lady. It features trendy design accommodations with free WiFi. Great customer service experience! Banks is an elegant art hotel located in a fashionable district less than 3 minutes’ walk from the Market Square. Great staff. Loved the breakfast and the drinks and snacks in the afternoon. Great location! Located in the old theater district of Antwerp, this hotel features a restaurant with modern world cuisine. The room was extraordinary big. The breakfast was very good. The location perfect! B&B Hotel Antwerpen Zuid is located in Antwerp, 1.4 miles from Plantin-Moretus Museum, and has a shared lounge. Breakfast very good.very friendly staff.very clean room, everything look new and very trendy. 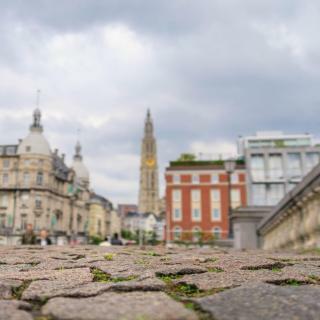 Antwerp Harbor Hotel is a budget hotel located a 10-minute drive from the Sportpaleis Concert Hall and.a 5-minute drive away from Antwerp's harbor. We had value for our money. Hotel could be reached perfectly by public transport. Small Luxury Hotel De Witte Lelie is a small boutique Hotel located in the center of Antwerp. There is free Wi-Fi and a terrace with a romantic garden. Great small hotel, very clean. Very nice staff , dog very friendly! Firean Hotel has a well-established international reputation for being one of the most charming hotels in Belgium. It is situated just under 2 miles from the center of Antwerp. Charming hotel with charming hosts, and a sweet doggie named Geoff. Located in Antwerp in the Antwerpen Province Region, 656 feet from MAS Museum Antwerp, U Antwerp features a terrace and views of the river. Guests can enjoy the on-site bar. Bed was extremely confortable and bed sheets were super soft. Hotel 'T Sandt is a charming boutique hotel with a central location and a luxurious atmosphere. Start the day with the free breakfast. The rooms are spacious and have a cozy atmosphere. It is a very cozy hotel right in the city centre. This design hotel is located in Antwerp, in front of the Royal Museum of Fine Arts. Hotel Pilar offers spacious rooms with free WiFi, and has modern open-plan bathrooms with rain showers. Small hotel with charm. Mr Simpson was excellent! Which hotels in Antwerp are good for families? Many families visiting Antwerp loved staying at Antwerp Business Suites, Hotel Quartier Latin, and Gulde Schoen The Suite hotel. How much is a hotel in Antwerp for tonight? On average, it costs $108 per night to book a 3-star hotel in Antwerp for tonight. You'll pay around $193 if you choose to stay in a 4-star hotel tonight, while a 5-star hotel in Antwerp will cost around $140, on average (based on Booking.com prices). What are the best hotels in Antwerp near Deurne Airport? Travelers who stayed in Antwerp near Deurne Airport (ANR) have said good things about Tulip Inn Antwerpen, Hotel Bristol Internationaal, and Van der Valk Hotel Antwerpen. Which hotels are the best ones to stay at in Antwerp? Antwerp Business Suites, Mañana Mañana, and Hotel Quartier Latin are some of the popular hotels in Antwerp. What are the best hotels in Antwerp near Antwerps Sportpaleis? Some of the best hotels in Antwerp near Antwerps Sportpaleis include La gloria no. 10, Holiday Home Huis Dujardin and B&B Antwerp. Which hotels in Antwerp have nice views? Cabosse, Suites & Spa, Hotel Le Tissu, and U Eat & Sleep Antwerp got great room view-related reviews from travelers in Antwerp. Which hotels in Antwerp are good for couples? These hotels in Antwerp are highly rated by couples: Hotel Colvenier, Gulde Schoen The Suite hotel, and Cabosse, Suites & Spa. 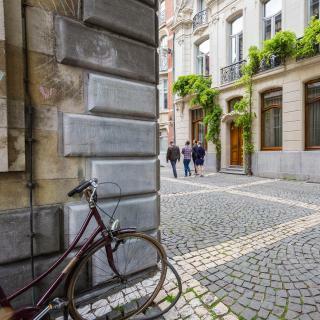 Which neighborhood is the best one to stay at in Antwerp? 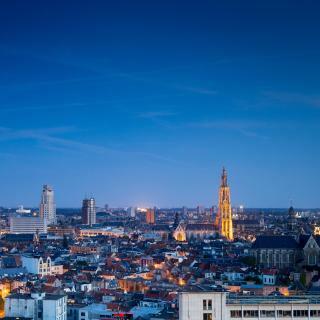 Antwerp Center, Berchem, and Borgerhout are popular with other travelers visiting Antwerp. How much does it cost to stay in a hotel in Antwerp? On average, 3-star hotels in Antwerp cost $113 per night, and 4-star hotels in Antwerp are $154 per night. If you're looking for something really special, a 5-star hotel in Antwerp can be found for $175 per night, on average (based on Booking.com prices). 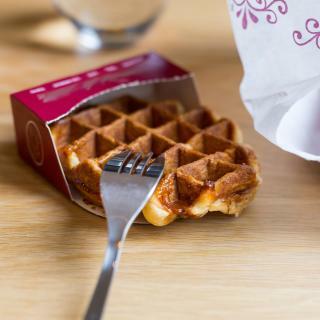 Which hotels in Antwerp offer an especially good breakfast? For hotels in Antwerp that serve highly-rated breakfasts, try Hotel Riga, Hotel Firean, and Cabosse, Suites & Spa. As the world’s largest diamond-cutting city, Antwerp (Anvers in French) is naturally affluent. It comes as no surprise then that fashion is also of utmost importance, so the shopping here is excellent. It may not be the cheapest place, but the quality certainly matches the price. Another big business in Antwerp is the port, one of Europe’s largest. Take a cruise around to admire its scale. The Scheldt River leads from the port into the city, and on its banks are a handful of interesting museums and Het Steen, a medieval castle built to protect the city against Viking invasions. 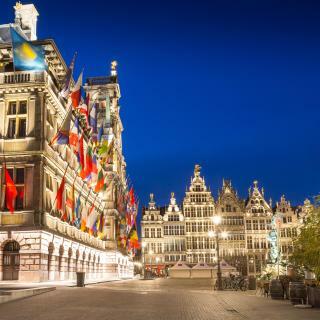 A few streets back is the Grote Markt, a beautiful square flanked by the grand town hall and 16th-century guildhouses – a typically Belgian scene. Behind this is UNESCO World Heritage-listed Antwerp Cathedral, whose asymmetrical towers look down over Groenplaats, a tranquil square filled with pavement cafes. Belgian beer is legendary and the local brew is De Koninck, which packs quite a punch. In the south of the city is the most unusual sight – Wilrijk’s huge Jain Temple, one of the largest outside India. A little further east is Antwerp Airport, efficiently connected by public transport to the Antwerp hotels, guesthouses and apartments that are available on Booking.com. Antwerp is a pleasant enough city, but I would not stay any longer than a day and a night. I was mainly interested in visiting the art museum but that has been closed for a long time and is not due to open for the foreseeable future. Human-size city, all key attractions are within walking distance: Rubens House, the Great Market, the Cathedral, St. Carlo Borromeo, St. James etc. Free car park (Linkeroever) and easy tram ride to center. We found it very boring to be in Antwerp during wintertime. We found it very boring to be in Antwerp during wintertime. There are many other neighboring cities with a lot lively Christmas Season. City center seems stuck around Our Lady Cathedral, not living up to our expectations. We came to Antwerp after visiting Liege, Brussels and Brugge, that might be the reason we found Antwerp dull, when compared to these cities. Loved location of hotel across from train station! Loved location of hotel across from train station! Easy access to shops and restaurants! Metro was easy to negotiate. Train station is the coolest one I’ve ever seen! Love the waffles! Disappointed Het Steen castle was being restored. Other buildings really historic. St Paul’s Church impressive! It’s one of the most beautiful cities in europe. It’s one of the most beautiful cities in europe. People are nice and the size of the city is just perfect. It’s a destination which offers lot of activities option for both families as well as solo travelers. Property was in a good location by the station and close to where I was visiting for the few days in Antwerp. The hotel room was pleasant and unconditionally quiet with no noise despite being a bigger hotel than what I normally stay in. The bed was spacious and inviting and the room had all the basics. Hotel bar had a good selection of beers although I didn’t use the restaurant as I went out in the city and tried a few places. The room was good value for money. The apartment is located at an ideal location to begin with. It is 2 mins walk from Antwerp Central station . The hosts are very nice people and available over phone all the time, though you won't require any assistance from them as the apartment is recently renovated and has all the amenities you might need. The apartment was squeaky clean and they do have netflix incase you are feeling lazy. Very comfy bed and it was clean with good room service who were friendly, the receptionist was very friendly and helpful aswell. 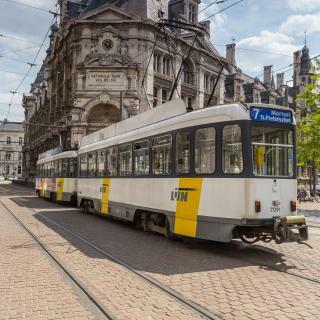 The hotel is in a great location which makes the visit to antwerp much easier as the train station is only a minute walk away, the hotel also has information on local attractions in the reception. Would definitely recommend. Extremely close to the train station with some cheap but relatively delicious Chinatown eats nearby. Room was quaint and all the amenities were provided. A good place to stay if you are planning to use Antwerp train station to travel to other places. Good location nearby Antwerp Central Station. Just a few minutes walk. Very convenient to go anywhere. However, facilities were quite tired but still clean. Breakfast selection and display were superb. Staffs were friendly too. 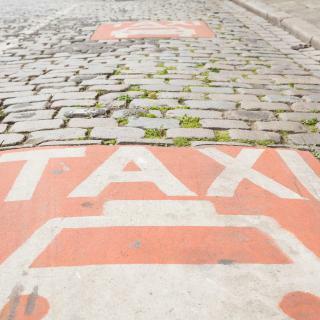 The location is nice close to Antwerp centraal and easy access to public transportation. The room was nice and clean with friendly staff good value for money also lidl supermarket just beside the hotel. This is always my first choice for a hotel in Antwerp. You can't beat the location in the old historic centrum. Rooms are big, clean and with a big walk-in shower. Bed is very comfy. The staff was nice and helpful. The location is really centred (2 min walk from central station, and 10 min walk from the heart of Antwerp). The hotel and facilities were clean. The hotel is located close to the church, in heart of Antwerp, 15 min walking from the train station. The breakfast is continental, fresh fruits included. Location was less than 5 mins from Antwerp central station and there's a big row of restaurants between the hotel and it which is handy. Incredible stay and incredible host. Will definitely stay here again when I return to Antwerp. Perfect setup for a group of friends. The hotel is really close to the central station and to the heart of Antwerp. It is close to train station, antwerpen centraal.